The Original Muck Boot Company made the first neoprene wellies sold in Europe and they remain the best available anywhere in the World. 100% waterproof, Muck Boots are unbeatably warm, comfortable and supportive. 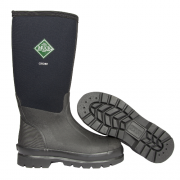 Muck Boots are not rubber wellies lined with neoprene, but are a complete neoprene bootie, with a customised sole & outer shell. Neoprene is aerated rubber, which makes it exceptionally lightweight; buoyant; warm; stretchy; and supportive, whilst still 100% waterproof. neoprene bootie is given a tough rubber sole for outstanding abrasion-resistance and long life. An easy-clean vulcanized natural rubber overlay give durability and protection. All Muck Boots are designed for hands-free easy on & off, many have a 10mm kick-rim to allow them to be kicked off without damage. Boot legs without full rubber overlay will stretch to fit any calf size and can be worn rolled down in warm weather, or to allow easier removal. 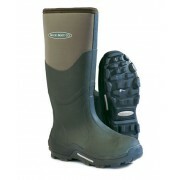 Broadfeed in Tunbridge Wells have the best prices for muck boots in Kent, visit us today! 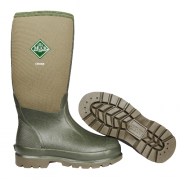 An ideal heavy-duty work welly, the Chore Hi has superior shock absorption and traction with its ..
A top-of-the-range working welly featuring a 'sticky' rubber dual density, oil resistant rubber&n..
A full-length cavalry-cut boot with a soft 'nubuck' finish on the leg and a specially-designed ri..
An ideal heavy-duty work welly, the Muck Boot Chore Hi has superior shock absorption and traction..